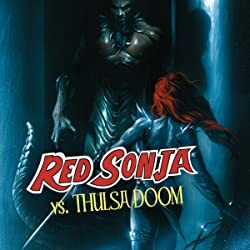 This is it - the 25th Anniversary issue of Red Sonja: She-Devil with a Sword! 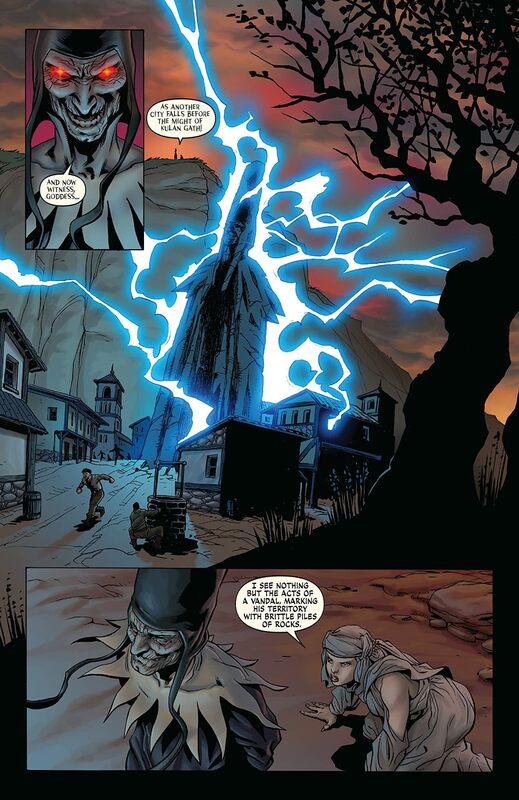 Plus, the debut of co-writer Brian (Avengers: Illuminati) Reed along with Michael Avon Oeming! 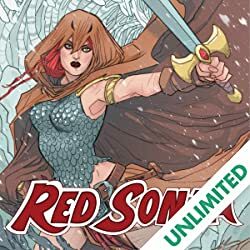 Defying all expectations, Red Sonja is a HUGE hit! 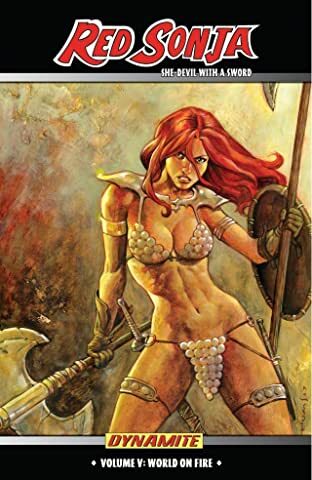 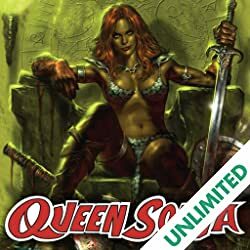 Month in and month out, readers are captivated with the adventures of the beautiful Red Sonja and her cast of allies and villains! 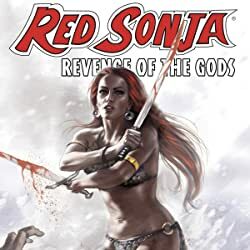 Now, writer Michael Avon Oeming sets the stage for the next year's worth of events as Sonja bring the battle back to Hyboria to face the growing power of Kulan Gath! 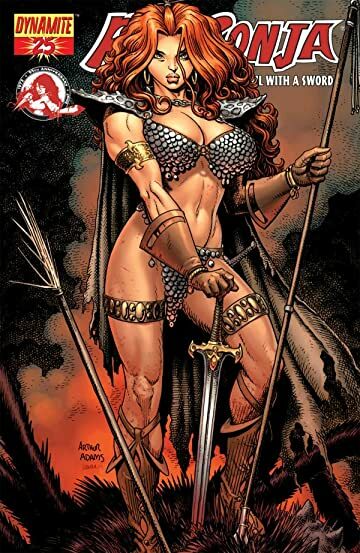 New allies are revealed, old allies lost and villains abound as Sonja battles her way back and faces a "World on Fire"! Oeming is joined again by Homs (while artist Mel Rubi works on the Spider-Man/Red Sonja cross-over) and cover artist Art Adams w/Laura Martin, Mel Rubi, Ariel Olivetti and Paul Renaud!